From Ashburn , 7 Iris is visible in the evening sky, becoming accessible at around 21:05 (EDT) as the dusk sky fades, 30° above your south-eastern horizon. 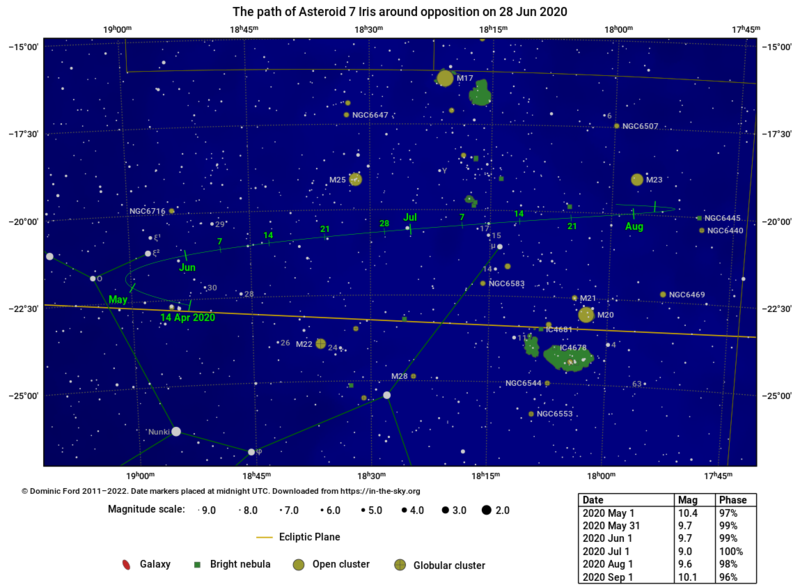 It will then reach its highest point in the sky at 23:22, 40° above your southern horizon. It will continue to be observable until around 02:44, when it sinks to 22° above your south-western horizon.